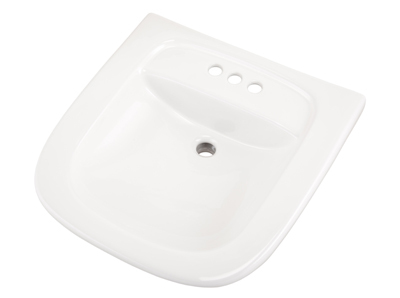 This wall hung hygenic sink is ideal for environments where cleanliness and hygiene are vital. 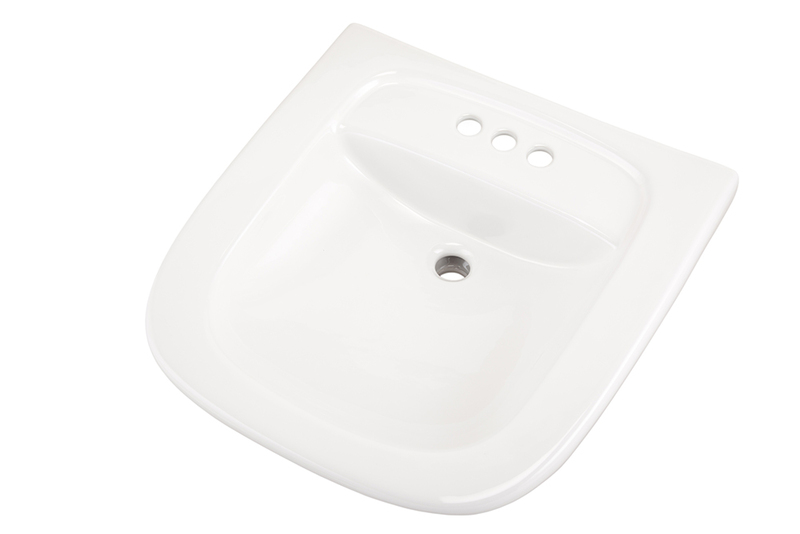 It measures 22" x 21-1/2" and includes a recessed, self draining deck. The overflow has been removed to reduce the possibility of contamination. 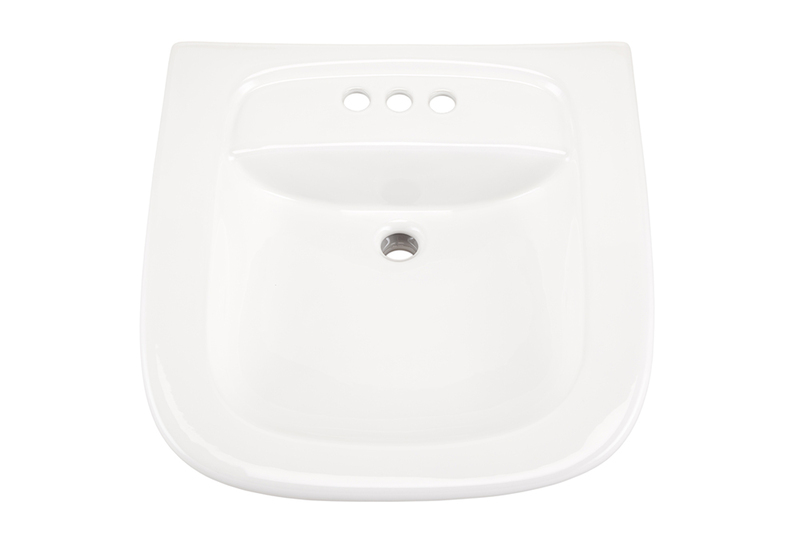 This model is ADA compliant is drilled for a 4" faucet configuration. Inner Dimensions: 15 3/4" x 14 3/8"